PHOEBE Dann is a young woman living her life with optimism and courage, despite a chronic health condition that would have most of us crawling into bed and pulling the covers over our heads. She was about eight when the signs of illness began. "We first thought I had food poisoning after eating pizza at a party. But the nausea and the stomach pains never really went away after that. I just continued to feel sick and in pain," Phoebe said. Phoebe battled with doctors for years over the misdiagnosis of her condition. She was told it was anxiety and "all in her head". A top gastroenterologist diagnosed an eating disorder. It left Phoebe and her family confused and frustrated and made her somewhat cynical of hospitals, specialists and the wheels that turn within the medical system. "I was told by so many doctors that my symptoms were caused by anxiety I almost believed it myself," she said. Two years ago she was diagnosed with Ehlers- Danlos syndrome, a condition so rare it took nine years and more than 40visits to doctors and specialists before it was finally identified. It was only through dogged determination and self-belief that Phoebe finally got the correct diagnosis. Phoebe embarked on extensive research based on what she knew about her own body, and then went on to find a specialist in that field. "It took me about three years just to find a doctor (geneticist) who knew about EDS. 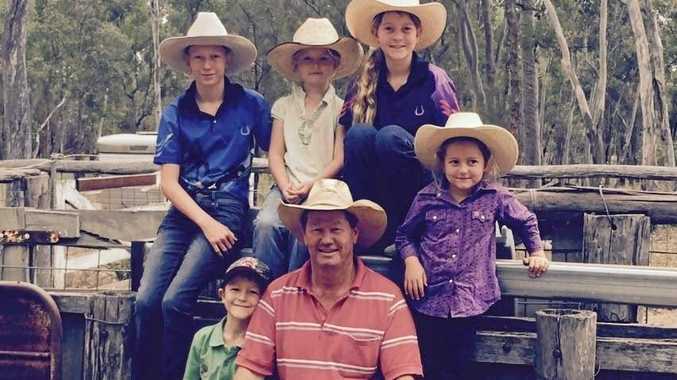 There are very few doctors in Australia qualified to help people like me," Phoebe said. "Ehlers-Danlos is a genetic disorder within the collagen in your body. I don't have enough collagen to support my bones, joints, muscles and organs. "EDS has been the reason for nine years of excruciating pain. "Exploratory surgery found serious damage to my organs, extensive scarring and fusion of the organs. Some had even ceased to function. I wonder every day if earlier intervention could have prevented much of this damage." While some people with EDS suffer few symptoms, for Phoebe the syndrome dictates her life. Phoebe faces challenges every day. She has become expert at hiding her pain - mentally and physically. Some days, enduring her condition takes all her energy and focus. She has learned to be mentally tough and has developed a special empathy for others, despite her own pain. "I've seen EDS being downplayed a lot, which frustrates me so much. It is so much more than being bendy, hypermobile and having stretchy skin. "There is a major difference between being flexible and having EDS, which affects every part of the body from the skin to the organs," she said. "Imagine having skin that's so fragile a paper cut requires stitches, the simplest bump causes months of bruising, even permanent scarring? "I have skin so pliant and transparent I can see almost every vein in my body. "My joints are unstable because of weak connective tissue. Lifting an arm can cause my shoulder or elbow to disconnect. Something as simple as standing up can dislocate a hip joint. Turning can cause ribs or vertebrae to crack or dislocate. "Many of these joints have dislocated so often the ligaments and tendons are now stretched and torn, the joints worn so they grate, bone on bone." There is no treatment for EDS and because it's such a rare disease, it hardly has any funding. Treatment is a matter of addressing problems as they arise. There are some medications, strong painkillers and huge adjustment in lifestyle. It doesn't paint a pretty picture and life for Phoebe is never easy or pain-free. "Everything I do has consequences so I have to choose my battles wisely, and it is incredibly frustrating. I can't do half the things people my age do. I miss out on life so much." Despite these seemingly insurmountable barriers, Phoebe is determined to live her life to the fullest. Instead of pursuing an interest that allows her fragile body to rest, like reading, colouring or threading beads, Phoebe turned to dirt bike racing. As a youngster she had a passion for motorbikes and riding was very much a family pursuit. 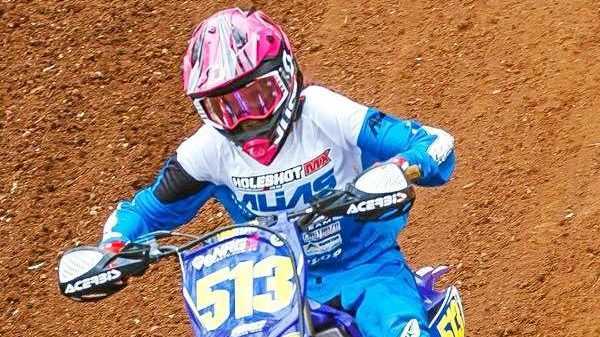 With the support of her father and brother, Phoebe started racing in motocross events. "This is my life and I can't give up everything I love for this disease," she said. "I have to rest up for a week beforehand and I know I will pay the price and have another week in bed afterwards, but this is my life and I can't give up everything I love for this disease. For me, motocross is all about fun and friendship. Even my mum has learnt to back down on this one. "It's all getting too much for me and I'm not sure how much more my body can endure," Phoebe said. "EDS caused me to quit school after Year 10. I still had no diagnosis and was losing days to either illness or countless medical appointments. "Now I am completing my education and hope to eventually study medicine. "If I can help just one person not go through what I have, then my struggles will be worth it."